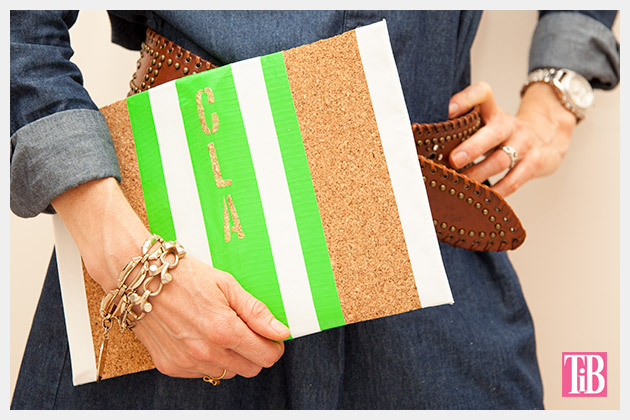 Create a cute clutch or iPad case using some unexpected materials, cork and duck tape make up the base of this Colorful Summer DIY Cork Clutch. 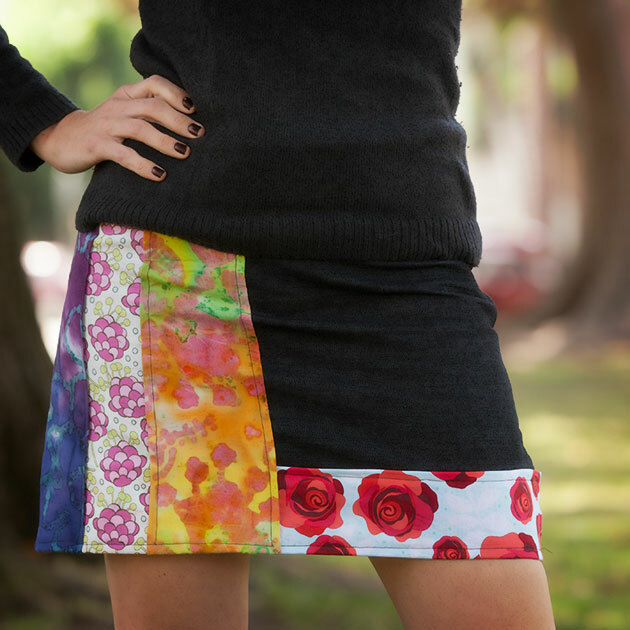 This project was made as part of The Big Bling summer campaign for JoAnn Fabric and Craft stores. Each week JoAnn is having a theme for their Big Bling Instagram Sweepstakes. Be sure to check out the Big Bling set in stores and participate in the weekly Instagram sweepstakes. Click here to find out more. I used 2 pieces of felt. I cut mine 11.5 inches by 8 inches. If you are making this for a tablet case, measure your tablet and add 1 inch all the way around for your fabric and cork measurements. Glue your 2 pieces of felt together around 3 edges using a fabric glue. 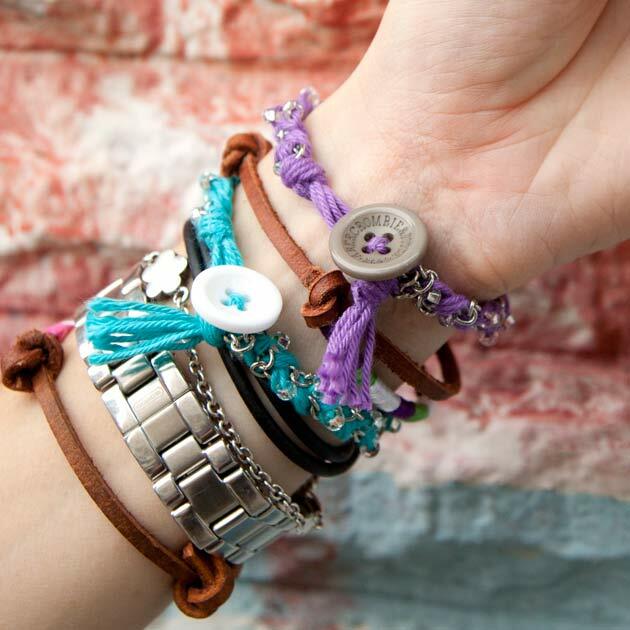 Leave one of the widest sides open. 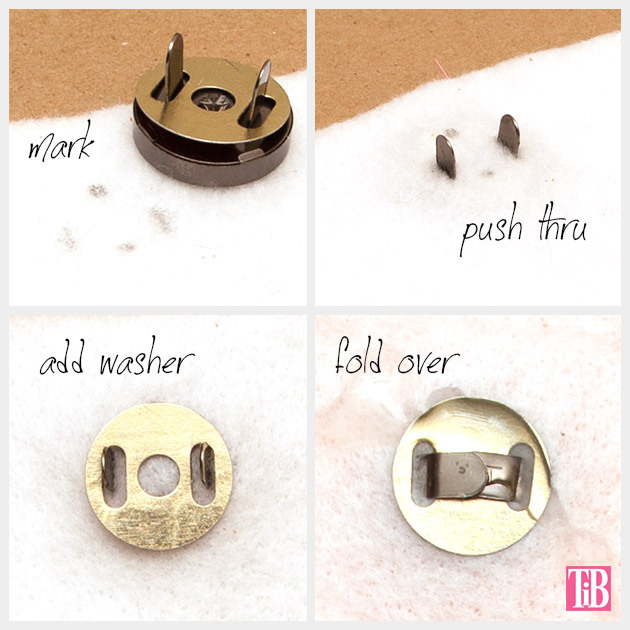 Attach your magnetic closures to your fabric lining. I cut small slits in my felt to push them through. Add the washer on the back side and fold the arms over. Cut your cork slightly larger than the fabric lining. 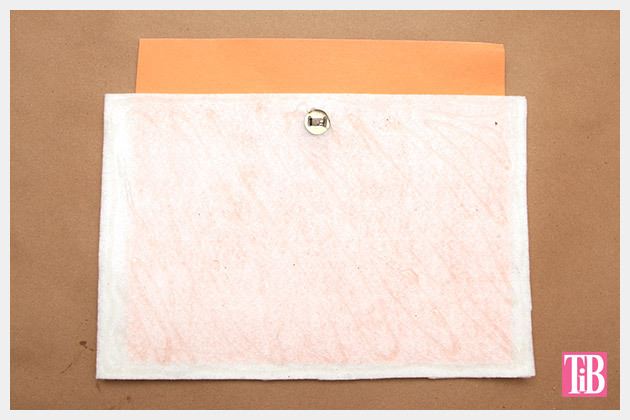 Put a piece of paper inside your fabric lining to keep the glue from bleeding through. 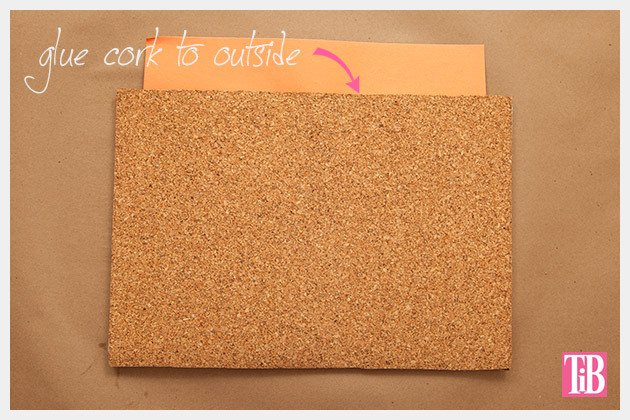 Glue your cork to your fabric lining. 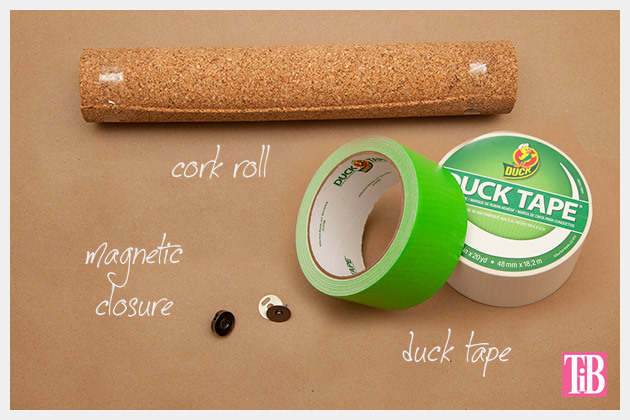 If your cork came in a roll you may need to set some heavy books on top while your glue dries. Let dry for a few hours or over night. Using your duck tape create stripes on top of your cork. 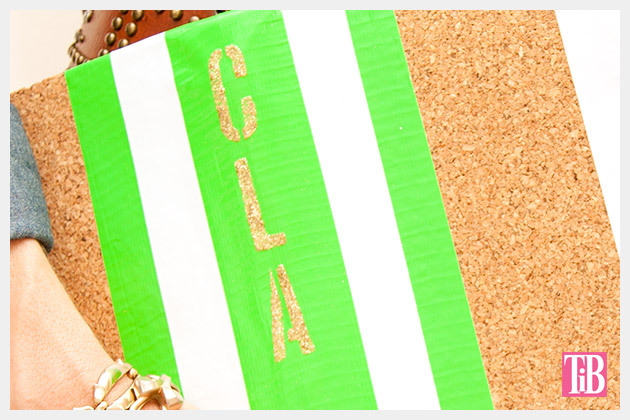 As an option you can create a monogram on your clutch using stencils, mod podge and glitter. 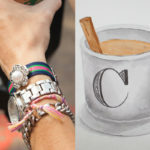 Mix up your mod podge and glitter in a foil lined bowl. Start mixing about equal parts mod podge to glitter and add more glitter as needed. Place your stencils on your bag and paint over them. 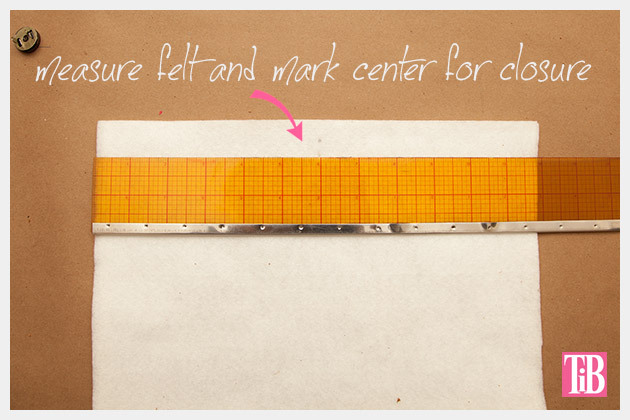 If you are using stencils, remove them right away after painting your mod podge glue mixture on them. Let the mod podge and glitter dry completely. The cork creates a fun texture that’s complemented by the bright bold pattern of the duck tape stripes making this a unique and fun clutch for summer. Don’t forget to check out the Big Bling at your local JoAnn store and be sure to enter the Big Bling Instagram Sweepstakes! This is so good! 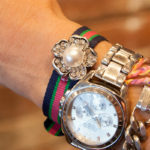 I love the easy supplies used to make such a luxe piece!